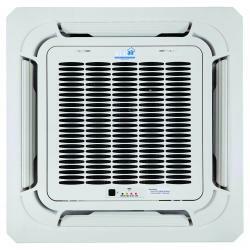 Ideal-Air™ Pro-Dual™ 9,000 BTU Multi-Zone Wall Mount Heating & Cooling Indoor Head. The Ideal-Air™ Pro-Dual™ Indoor Head unit can me matched up with multiple different configuration with 1 single outdoor condensing unit. (See Match up chart online at www.ideal-air.com, this will also be listed on the packaging of the box). 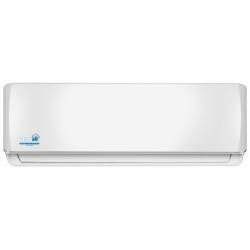 Maximum cooling area up to 189 sq. ft. 3 speed fan, 24.5 dB sound rating, 208-230V, 60Hz, 1ph, 0.25 Amps and 20 watts. Line set connections 1/4 x 3/8 inch.